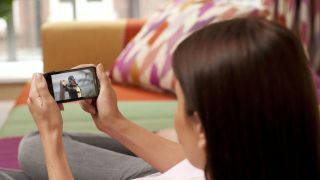 Sky's focus on connected devices appears to be paying dividends for the company, with positive results for the likes of Sky Go, broadband packages and on demand making a tough quarter a little brighter. With quarterly profits down by 8 per cent on last year's, the satellite giant can point to investment, growth as an ISP and VOD wins as positives. The dedicated Ashes channel proved a winner for streaming on the Sky Go service with 16 million streams of the cricket channel, whilst unique users for Sky Go were close to 3.3 million. The broadband bundle is also proving popular, with the 5 million customers mark passed, and 3.4 million homes have connected their set top boxes to the internet. Somewhat inevitably that saw On Demand requests up by a factor of four and movie rentals also doubled. Customers opting for more services will be encouraging for Sky, with subscriptions to its flagship TV service more or less static over the past two years from 10.2 million homes in the first quarter of the 2011/12 financial year compared to 10.4 million now. However, total paid-for subscription products, driven mainly by broadband but also Sky Go Extra and telephony is up by just over 3.5 million million on last year. Interestingly, Sky now have 380,000 Sky Go Extra subscribers signed up for the video download to device service more than 10 per cent of the total unique users for the free level of service. The pay-per-view Now TV service figures were not split out of Sky's unaudited results press release, but are included in the TV figures. Sky's Now TV boxes hit retail stores - so how much for the 4.5 star reviewed product?